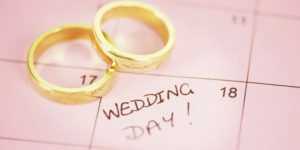 When planning an wedding, firstly we recommend hiring a wedding planner. It is often cheaper to hire someone who knows what they are doing than trying to diy – often resulting in costing more. Here are things you should consider when planning the décor design for your wedding or corporate event. Centrepieces: What the budget you have for your wedding Centrepieces? Height: how big is your wedding venue in relation to the size of your centre piece. Promises: Are you really going to get what you have been promised. We see this too often. A better rate is given by another wedding supplier and on the wedding day, we are called in to fix the problems. Candles: Sometimes quality is compromised and your wedding candles can burn out before then end of a wedding or function or cheap wax has been used and you end up having the linen ruined. Or black smoke comes off the candles. Bridal Bouquets, Bridesmaids Bouquets Buttonholes and Corsages: These items are often overseen or a last minute add on when planning your wedding. Next: The Main Table. Normally a banqueting table is between 1.8 meters and 2.4 meters long. You need to decide who you would like placed at your table in order to design the main table décor. Obviously the Bride and Groom take Centre Stage, but you need to decide on Brides Parents, Grooms Parents and then the Groomsman and Bridesmaids. Usually the Grooms parents will sit on the side of the Bride and the Brides parents on the Grooms Side. It is also popular to choose a Sweetheart table. Then the parents all sit at one table and the rest of the bridal party at another. Draping and Lighting. This is an entire subject on its own, but it is so important that if you choose draping for your wedding you do not end up with a room that looks like it is covered in toilet paper. The Draping Trend is to have very subtle shell scheme effects that are combined with Wedding Flowers and Greenery. The lighting can set the entire mood for your wedding and we prefer using a warm light than a blue light. Blue lighting can end up making you feel cold and depressed. Warm lighting, especially fairy lights give a happy feeling for your wedding or celebration. Finer Details: When it comes to tying the last bow onto a bridal corsage, or lighting the candles, all your wedding details should be planned for and executed with passion. Event Inspirations celebrates events creatively and can assure that every Corporate Event or Wedding that we take on, is done with love and passion.